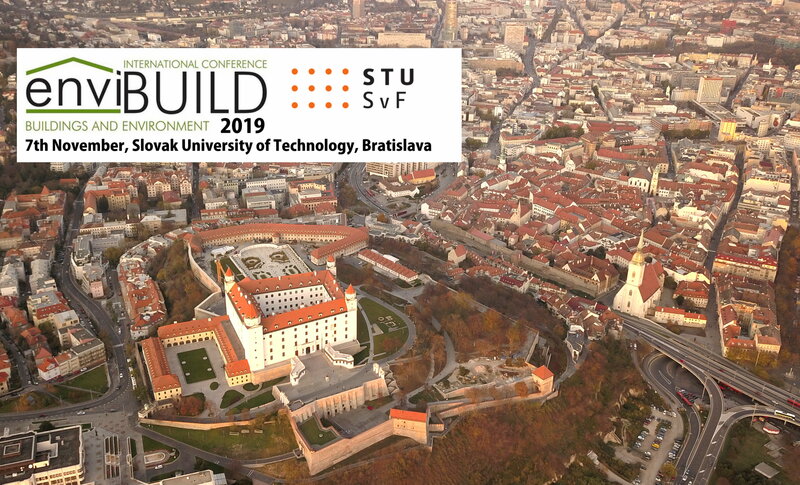 It is a pleasure to announce that the 14th International enviBUILD 2019 Conference will be held in Bratislava, Slovakia, on November 7, 2019. This year's event will be organized by a team of the Department of Building Construction of the Faculty of Civil Engineering at the Slovak University of Technology in Bratislava. The team is chaired by Professor J. Hraška and operatively led by Dr. P. Hanuliak, i.e. two persons, who have been for Slovak party at birth of this event in 2006 and trying to keep it going year by year together with colleagues from neighbour countries. An overview of past enviBUILD Conferences is available here. The conference language is English. Papers will be peer-reviewed. The best peer-reviewed original papers will be published in WoS indexed professional periodicals. All other accepted papers will be published in Conference proceedings indexed by major indexing services and search engines and their abstracts available on electronic carrier and in printed version as well. We are looking forward to meeting you in Bratislava! (*) The fee includes organizational costs, incl. processing and publishing of one contribution per main author in the online Conference proceedings, refreshments (catering) and Book of Abstracts for authors (electronic carrier and print) - expected is presentation in form of a short lecture or a poster. In the first instance only submission of abstracts will be open. The submission of paper contributions will only be possible after completion of the reviews of abstracts. Upon submission of the registration form, you will receive an email containing your submission ID, which, along with password entered during the registration process, allows you to make future changes to your submission. The changes can be made until the submission deadline of the respective contribution (abstract, respective paper). Designed by CAB using Bootstrap components.